A Provident American Health Insurance Company review leads to Provident American Insurance Company. 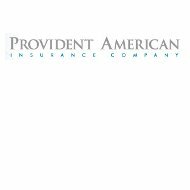 Headquartered in Texas, Provident American provides a variety of insurance options for Texas residents. The company sells high flexibility insurance, which means clients can choose payment dates, premium amounts, and deductible amounts. If you need personal health insurance for yourself or your family, enter your zip code in the free box on this page now to receive rates and quotes from several top companies. They work one-on-one with individuals to help protect hard-earned assets and family medical needs. The two dental insurance products available are simply referred to as the Gold Plan and the Silver Plan. The Silver Plan is the simpler of the two plans. It provides for preventative measures such as checkups, fluoride treatments, and sealants for children 12 and under. Preventative dental care is the biggest deterrent to costly future dental problems. The Gold Plan includes everything that is covered on the Silver Plan plus more. Repairs such as fillings for cavities, root canals, crowns, and other in-depth procedures are covered in the Gold Plan. The Gold Plan is ideal for those who are prone to dental problems as well as families with several people that need to be covered. Accident insurance is the just in case insurance that many people don’t think about. An accident can leave you out of work for a long time. If the accident leads to a temporary disability, the costs can skyrocket. Accident insurance provides protection for your assets and income, if an unforeseen accident occurs. Lost supplies include anything that was ruined by the accident. For example, if you’ve just finished grocery shopping and your groceries are destroyed in a car accident, the cost to replace them will be included. The accident disability income plan replaces income that is lost when an accident results in a temporary disability. This coverage is for short-term disability, not a permanent disability. The terms of coverage are pre-determined. Once the end of that limit is reached, the coverage ends. If there is another type of disability insurance, it can be applied after the Provident American accident disability income plan ends. Provident American Insurance has four types of life insurance products. The ValueProtector 10 provides life insurance, accident insurance, specific illness, and more insurance all in one policy. Specific illness means that it covers expenses and medical bills for illnesses that are specified within the plans such as cancer or diabetes. It also provides for daily expenses as well. The ValuProtector AP is the same plan as the ValueProtector 10 but does not include the extras such as money for daily expenses. The SIWL plan is simplified issue whole life insurance. It is a plan that is purchased as a life insurance policy but the money paid in premiums is invested and money can be withdrawn as needed as well. The last life product offered by Provident American Insurance is critical illness. Critical illness coverage provides coverage for medical expenses, lost wages, and daily expenses when a critical illness, such as cancer, strikes. Though a traditional medical insurance plan may coverage the medical bills, it does not cover lost wages or daily expenses.